If ever “West of the Trail” neighborhoods similar to those prime communities in Sarasota are to be listed in Osprey, Bayside would surely be in it. 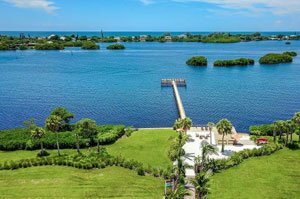 This community is a certain shoo-in for such a prestigious listing, given its coveted location west of the Tamiami Trail in a 21.5-acre parcel directly on the scenic shores of Little Sarasota Bay. The development of Bayside is one of the many projects of national builder Taylor Morrison in its aggressive foray into the Florida real estate market during the housing rebound after the Great Recession. The Osprey project is notably this builder’s only bayfront development in the state, although it parlays the franchise of seaside living too in some of its Florida communities like Esplanade by Siesta Key and Bellacina by Casey Key. The Scottsdale, Arizona-based Taylor Morrison developed Bayside in the same pedigree as some West of the Trail communities offering high-end Sarasota homes for sale. The builder crafted Bayside as a gated, maintenance-included waterfront community with a slew of leisure facilities. Bayside’s amenities include private community dock, a kayak and paddle board launch, waterfront boardwalk, and a fire pit. 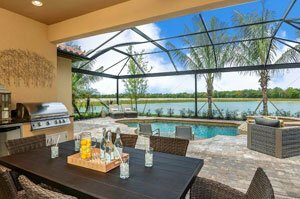 The community at once comes out impressive with its well-designed landscaping that features a three-acre preserve plus a serene lake. Amidst this exquisite setting, Taylor Morrison platted 49 home sites, offering a selection of its most popular designs for them. The builder launched Bayside homes for sale in December 2016, offering five floor plans that range from 1,856 square feet to 3,144 square feet. All of these come in open-concept designs with great-room layouts that allow for flexible options and well-thought designer touches throughout. Pricing of Bayside homes for sale ranges between the $400s and the $700s. 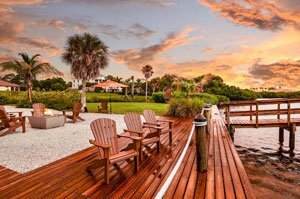 The joy of living in Bayside is by no means confined to water-based pleasures, like boating and fishing in Little Sarasota Bay. The residents of this community can as easily partake of the many life and leisure activities in Sarasota, thanks largely to its proximity to the Tamiami Trail. Via this road corridor northward, for instance, Bayside residents have convenient access to a Walmart Supercenter and the local restaurants at the Bay Street Village & Towncenter. Also in this northern locality is The Oaks Club where having a membership opens privileges for golf, tennis and facilities for social activities. Moving a short distance down south on the Tamiami Trail, the local area attractions include the Oscar Scherer State Park. This park’s 1,382 acres provide opportunities for camping, nature-tripping, picnics and kayaking. A visit to this park can likewise segue to the Sarasota‒Venice Legacy Trail with a 10-mile track for running and biking. Besides these inland delights, beach-based activities are convenient too for Bayside residents with the Casey Key Beach only three miles away. The community’s Osprey location west of the Tamiami Trail also allows easy access to the world-famous Siesta Key Beach and to the shopping entertainment, arts and culture centers of downtown Sarasota. Top-rated medical facilities, schools, major airports, and dining options are conveniently accessible too via this important roadway that immensely help in forging market interest on a lot of Osprey and Sarasota communities. Below are the current real estate listings available at Bayside.